I was not expecting this. But it happened! 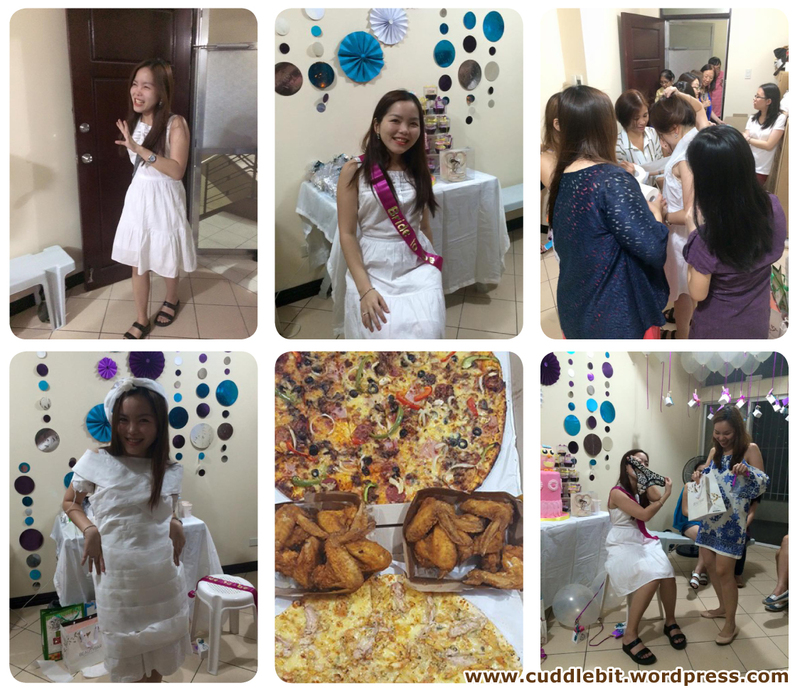 My lovely bridesmaids threw me a surprise bridal shower! -Not posting group photos for the privacy of everyone involved! hahahaha! seriously, it was very wholesome, good food, great friends and a family get together all rolled into one party. May I also add that the place looked superb?! I loved all the party decor! Most of the decor are a labor of love-DIY!!! – the venue is our soon to be home. Standing slow clap for all the girls! And to my two MOHs-you have blown me away! top-left to right: 1-surprised! 2-I got a sash! 3-we play games. the one in the photo is dress up the bride using tissue paper. bottom-left to right: 4-modeling my tissue paper gown 5-loads of food 6-they gave me gifts. 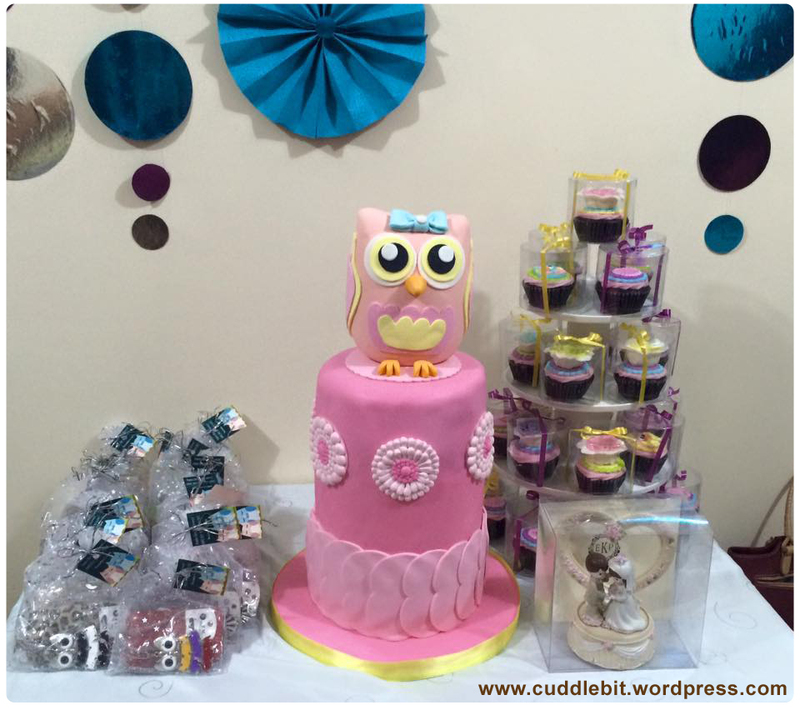 And they also got me a really really cute owl cake and cupcakes and owl giveaways too! owl themed! =) Cake and cupcakes are gifts from my cousins- It is a Sugarbox fondant chocolate cake, the owl giveaways are lovingly prepared by Kei’s sister and my childhood friend! The super cute wedding dolls are from my childhood friend and churchmate! Almost did not want to cut the cake because I find it too cute!!! However the chocolate cake inside is so good that I managed to eat a lot of it! I felt so grateful and loved. –The prenup/wedding related posts would have to wait… I am still not over sorting the photos and since the wedding day is fast approaching I am really really busy. Categories: life, wedding | Tags: 2015 bride, bridal shower, bride to be, childhood, Cousins, december, decor, diy, family, fondant cake, friends, labor of love, owl, owl cake, party, sugarbox, wedding | Permalink. Sometimes issues just keep popping up from nowhere. I hate it when it happens. It gives you a false sense of security that would come crashing when the problem comes knocking at the door. Sh*t, I say. Remember the trip to Mandaue Foam? I thought everything is ok. I take back (half of) what I said now. I even updated that blog post. Bottom line. We got the orthopedic mattress, no bed frame. Why? They sold the bed. And we need to wait for three weeks to get one. Even the dark colored version is all sold out. I was in disbelief. So we got a bed frame from a different supplier. On the brighter side we are done with handing out our invites. So now we patiently wait for the RSVPs. *All my reviews, opinions, and other stuff expressed here are our own and based on our own experience. Categories: home, life, reviews | Tags: bad, disappointment, fail, furniture, madaue foam, review, service | Permalink.